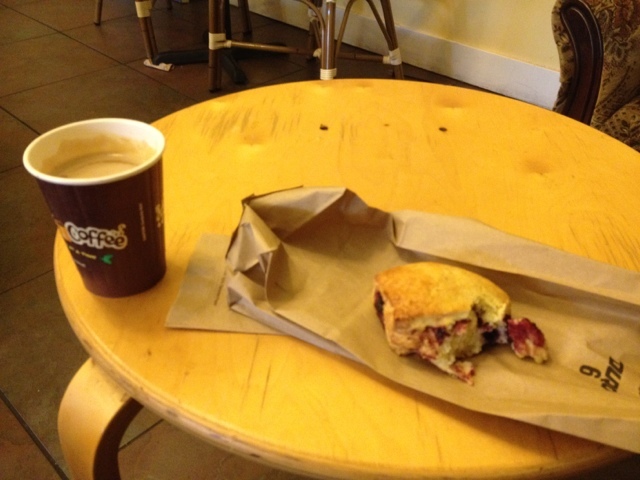 Enjoying some good coffee an an ok scone before the madness of today begins. Tonight is my dad's party and we are all helping with prep. That means lots of cleaning, carrying, and moving out of people's way.